At Snowden Parkes Real Estate, we love Easter! This year we have an Easter Colouring In Competition for all children (ages 5-12 years old) in the Northern Districts Area. 1. Simply download our ‘SPRE-Easter-Competition-Form-2018’ or pick-up a printed form from Snowden Parkes Office. 2. Colour it in, get creative and have fun! We are open from 9am – 6pm Weekdays & 9am – 5pm on Saturday. Competition closes Tuesday 27th March 2018 at 5pm. If you are entering via post, please make sure your entry reached us by Tuesday 27th March 2018 at 5pm. Our lucky winner will be drawn and announced on our website (www.snowdenparkes.com.au) and social media (Facebook & Instagram) on Wednesday 28th March 2018 at 10am. Our promotion commences Thursday 15th March 2018 at 9am and concludes Tuesday 27th March 2018 at 5pm. Winners will be drawn on Wednesday 28th March 2018 at 10am and contacted via phone / email. Frist prize is an iPad (RPP $469). 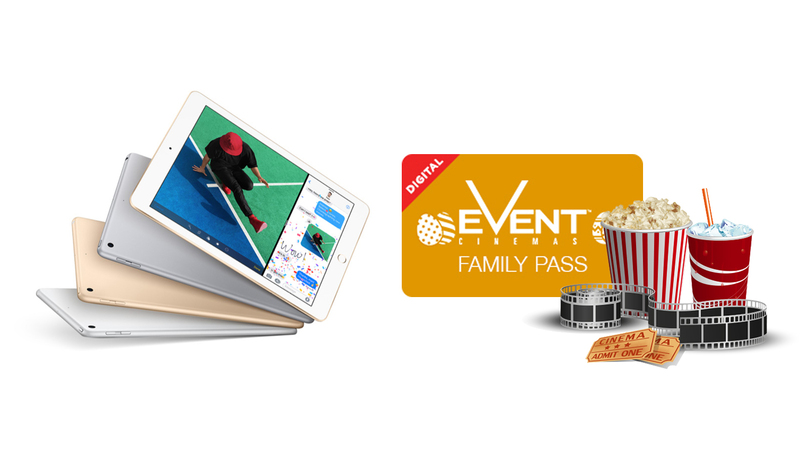 Second prize is an EVENT Cinema Family Pass (RPP $50). Should the winner be uncontactable within 48 hours of being drawn, another winner will be drawn.